In 1968, the architects of University City High School wrote, "A school building must be regarded as an educational tool. Its purpose is to house and aid the educational program, not to serve as a monument nor to follow previous designs." Even as the educational mission of UCHS has changed over time, its architecture has remained the same. Here is how students at UCHS have experienced it. Click on the below buttons to travel to each of these floors. This document, "Educational specifications: University City High School, 38th & Filbert Sts. Project 1030," detailed the architects' understanding of the structures and functions they built into UCHS. 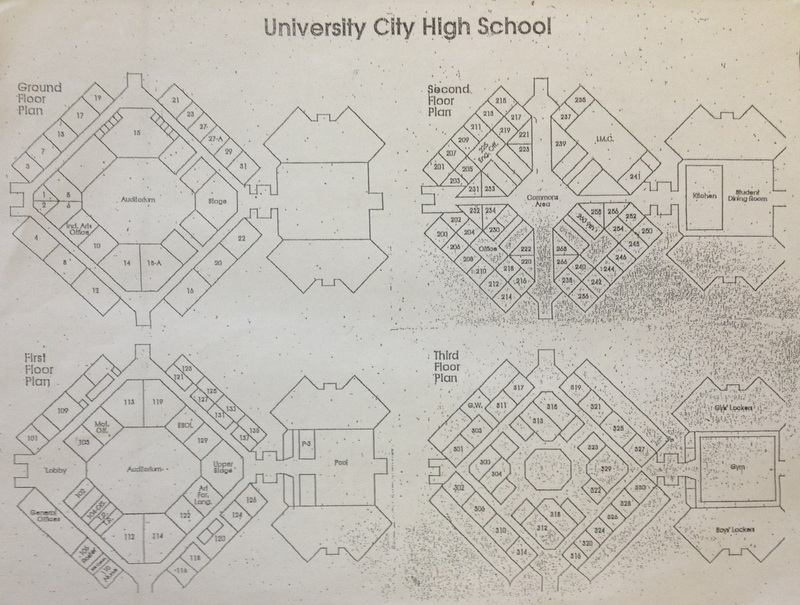 Flipping through it allows us to see what certain spaces were built to be-- and then allow you to explore how those spaces have changed in UCHS's 41st academic year. The second document, "An Education System for the Seventies," provides a sense of the cutting-edge educational program that UCHS was built to house.